Today is Ellie's sixth day of daycare, and the first day where I've pulled up to our house with the backseat quiet and felt a deep tug of missing her. Not that I haven't missed her while she has been there the other days. But this time alone in my studio, in my home, has given me space I haven't had in more than two years. 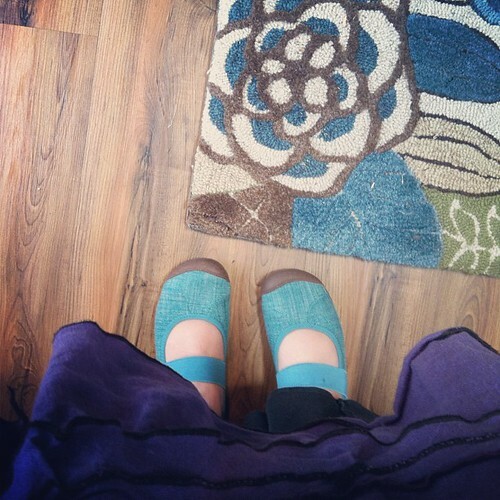 The space I create for other women, but haven't myself had for long stretches of time: space to just be me. It feels as though fractured pieces of me are reaching out to one another and pulling me back together. And this is good. And part of the beauty and truth of being open to noticing. As I was sinking into my day today, I was thinking about how I am about five weeks behind with Project Life. Summer was so full and the awesome chaos of it didn't leave time for it. And I don't want to spend time worrying about catching up and then not capturing this transition of this new schedule and way of living for our family. That tug of missing was inviting in the overwhelm. But then I went to Ali's blog today and she gave me a place to begin with the wonderful prompt: I want to remember. 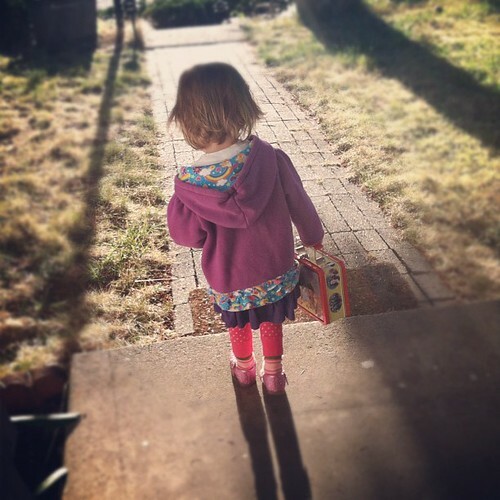 I want to remember the way Ellie carries her lunchbox each day as she walks out the door, but then she turns around to hand it to me before she walks down the steps because it is "too heavy." I want to remember our morning routine: Jon gets up and gets ready for work. Then he wakes me up, and he goes to the kitchen to make breakfast. I get dressed and most mornings I hear Ellie begin to stir in her room. When I go in to get her, we stretch and then talk about the day's plan as we choose her clothes. Then we eat breakfast with Jon. Then he leaves for work; we brush our teeth; and then we get her lunchbox and head out the door to go and see her new friends. I want to remember the exquisite silence of being alone. I want to remember that sitting at the table for dinner invites in another layer of intimacy and connection. I want to remember watching Ellie on the slide over and over again when she didn't realize I was at school to pick her up. I want to remember hearing Ms. A say to Ellie, "Eleanor Jane, you crack me up, you know that?" and Ellie saying so loudly, "Yeah!" I want to remember how she held on to me after a rough day and found comfort in the quiet space between us. I want to remember the look on her face when her daddy gets home. I want to remember that Millie and I hang out in the studio together all day and I often get to listen to her soft snores. I want to remember the pure joy I felt playing with fabric and thread and paper again. I want to remember the way Ellie walks up to her friends to tell them "ba-bye." I want to remember how she bravely gets down from my arms each day and walks to Ms. A even though she doesn't want me to go. I want to remember the brave way I get in the car each day and trust that her healing heart will guide her.